Marketing Investment: For $49, recipients will have branding rights to award titles all year long! 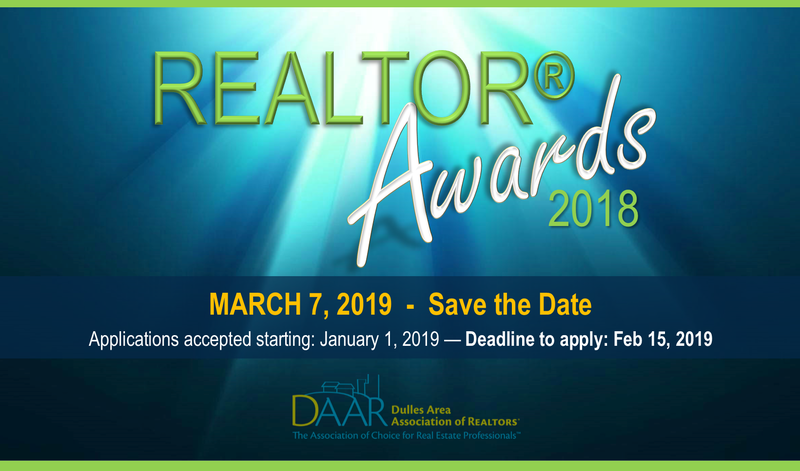 Save the Date: DAAR REALTOR Awards Ceremony is March 7th! You’re cordially invited to join us as we recognize REALTOR® professionals who have reached exceptional levels in various categories above during DAAR’s Awards Ceremony on Thursday, March 7th, 4:00 to 7:00 PM at 1757 Golf Club, 45120 Waxpool Road, Dulles, VA 20166.